Dahlias are among the first ones to bloom along with cosmos this spring. There are mainly two types available. The single ones, grown from seed and double ones, grown from tubers. cuttings are also available for double ones at cheap price. Tubers were available at around Rs 100-150 each. 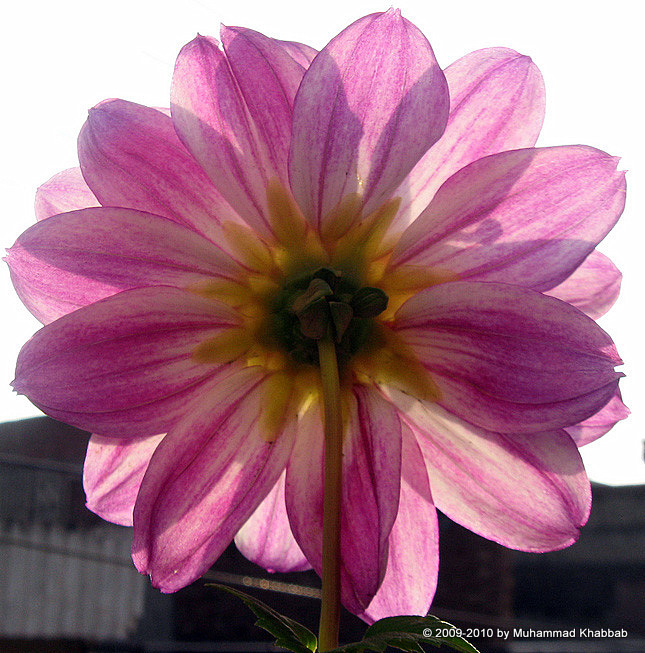 Double flower is also called indian dahlia while single ones is locally called Pakistani dahlia. I always prefer single ones not because they are cheap but because they attract lots of bees and butterflies because of their nectar power. There is also a sense of adventure in single ones as they are hybird with mixed parentage, no one knows which type of flower will be produced. Also, you may find more than one types of flowers on a single plant. They are also more adaptable to our conditions and are more heat tolerant than double ones. 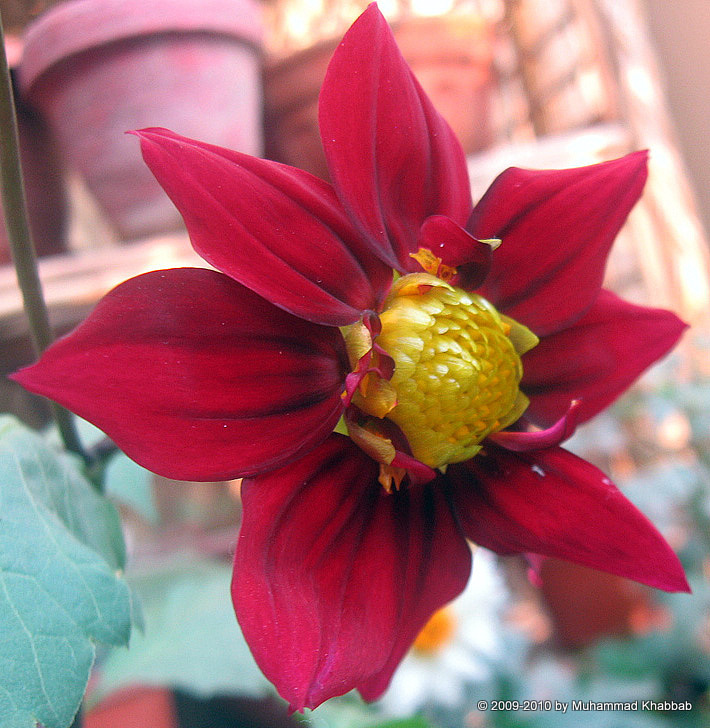 All the below shots were taken from dahlias i grew from seedlings in containers on my terrace. I planted Dahlias back the end of November and it’s getting really tall but no flowers yet. how long does your dahlia took to flower?! It’s February now so when did you planted it? 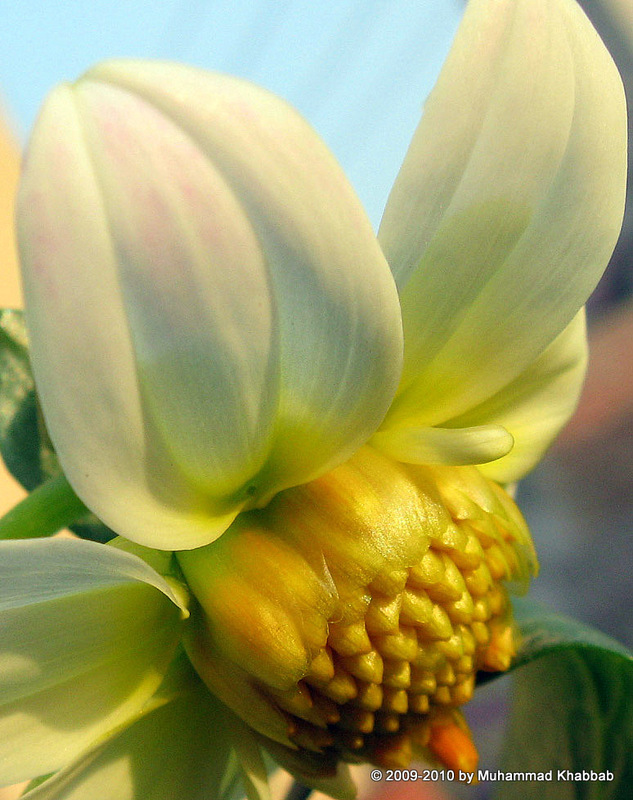 You have some really lovely dahlias … the photos show them off so well. Thanks for dropping by to visit my blog … I’m glad you enjoyed the photos of the Lagerstroemia. @Ibrahim – I bought seedlings in November’s last week. And they bloomed in January first week. If you are growing from tubers, it will take some time. Do give them full sun. Wow..excellent post! 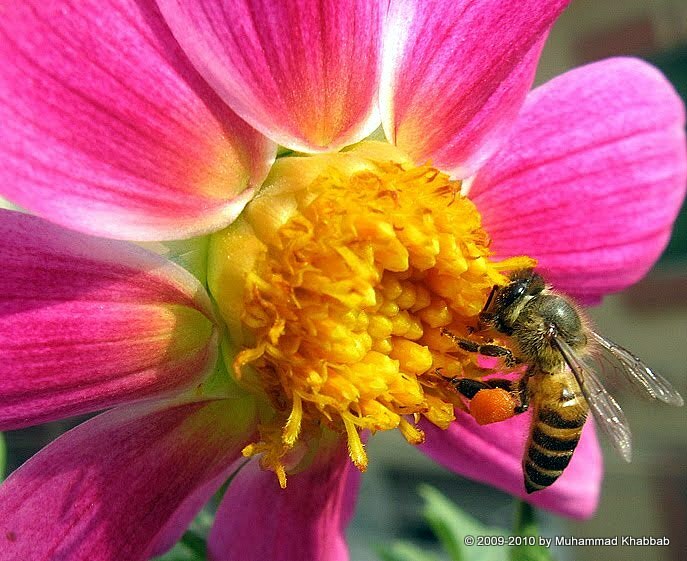 Super-Gorgeous photos..your Dahlias are awe-inspring..and the bees look very very happy!Such beauty!! They are just gorgeous and the bees are loving those blooms. I have gotten seeds to plant some singles this spring. I hope they are as pretty as some of yours. Your dahlias are gorgeous. Now I want to grow dahlias too. 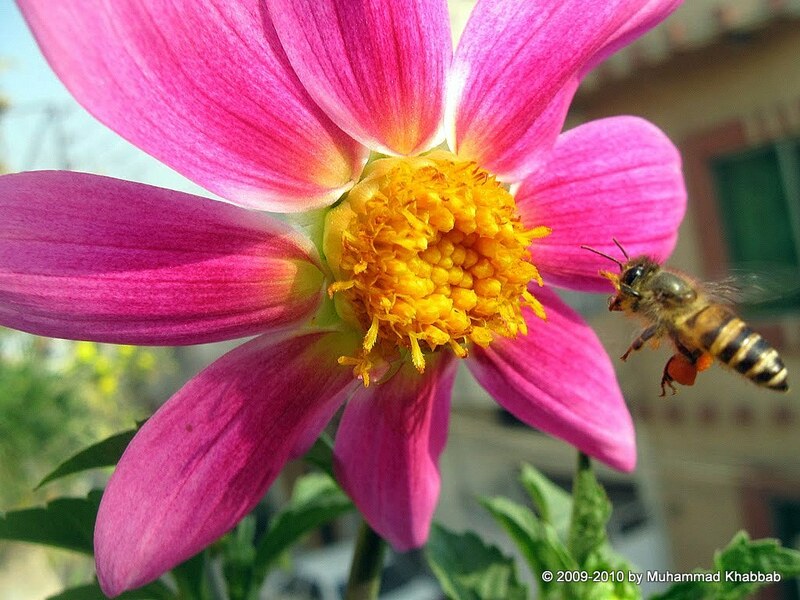 The Dahlias are so beautiful and I love seeing all of the bees enjoying them. Oh my, those are just stunning! Impressive and so colorful! 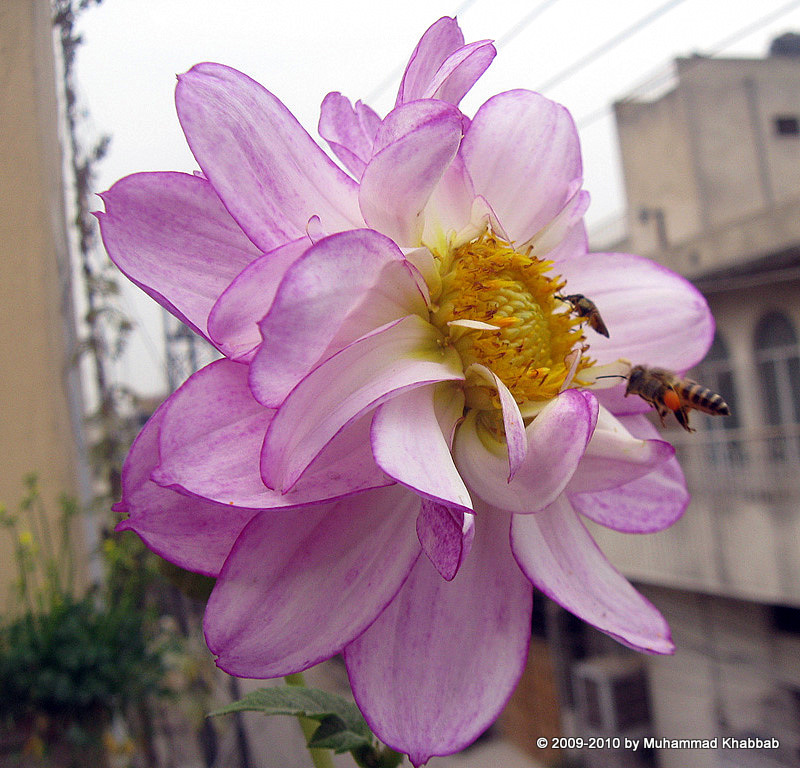 You really have beautiful Dahlias on you terrace. I can see you have them in various colors; they are all really charming. I also enjoyed the flowers from your previous post. Thanks for your visiting on my blog and for your nice comment. What a beautiful collection you have. I’ve only ever grown them from tubers, never tried seed before. Your Dahlias are so pretty! 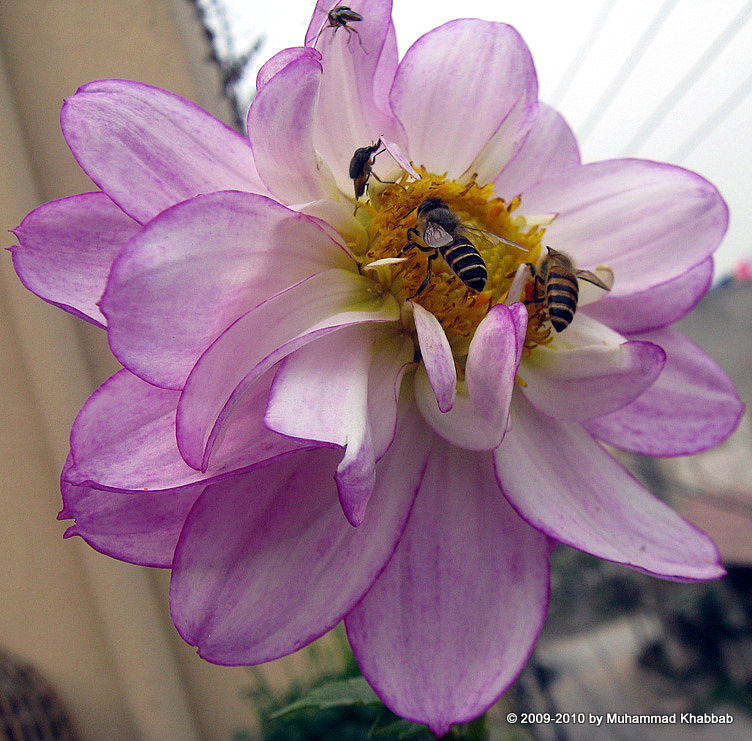 Love to see shots with bees… makes the flower looks even more attractive! Muhammed, I find your blog extremely informative aand interesting. The Dahlias are superb. 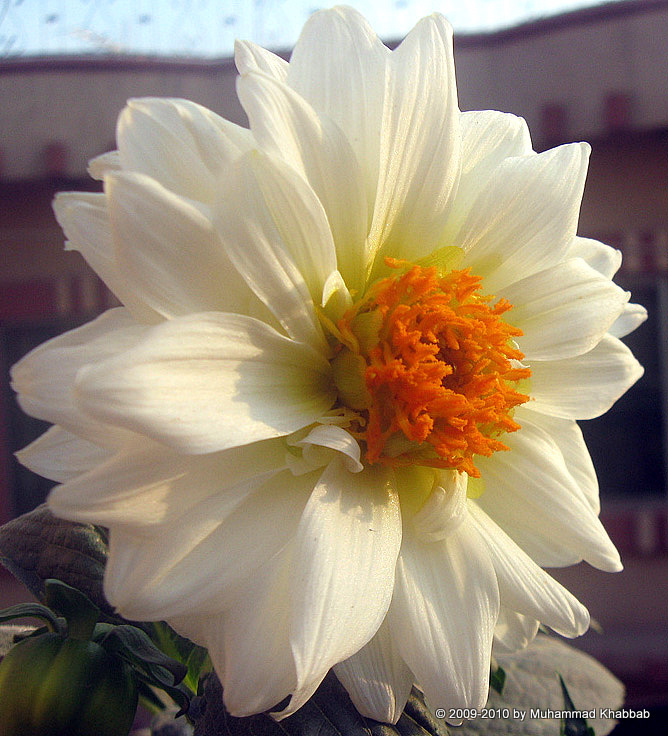 I live in Delhi and would love to know what your plans for summer flowers are. @Sujata – Thanks for stopping by and saying these encouraging words. For summer, Agapanthus bulbs and Eustoma grandiflora are top of the list. Sowing will include morning glory red and blue, moon vine, convolvulus tricolor, datura metel, echinacea purp. and if i get hands on blue catananche then will sow it too. Will buy seedlings of gaillardia bicolor, portulaca grandiflora. Also include day lily bulbs. 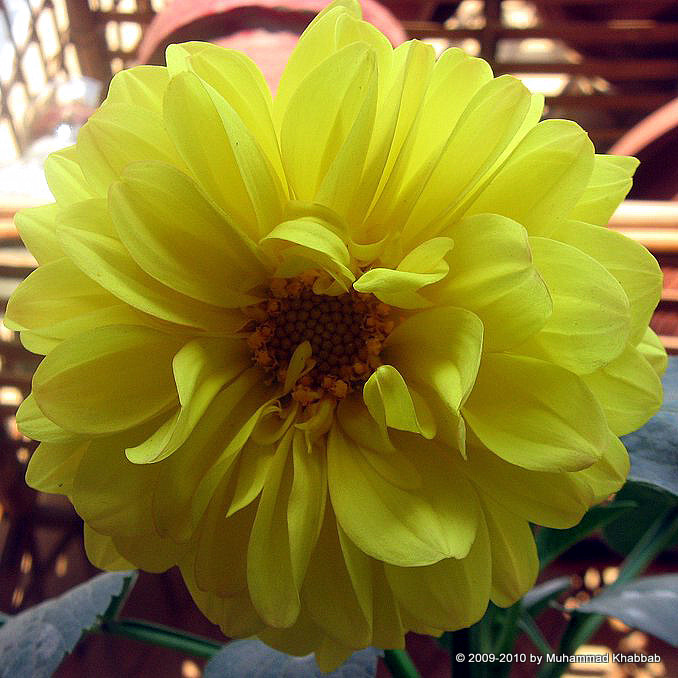 teresa from gardenshoesonline just posted about dahlias too. They’re such a gorgeous late summer bloomer and seem so easy too. I must get some this year. Your photos are beautiful! Beautiful, beautiful. I have never planted Dahlias. But, I did plant agapanthas from seed. I keep it as a houseplant in the winter and put the container out in the spring. Agapanthus means: Agape (love) panthus (plants) love of plants! How perfect! I never cared for dahlias, but your photos will make me a fan! These are beautiful flowers. I think I prefer the single ones too. Your photos with the bees are great. I am so glad you visited my own blog and thus led me to yours! You seem to do a lot of gardening in a small space. 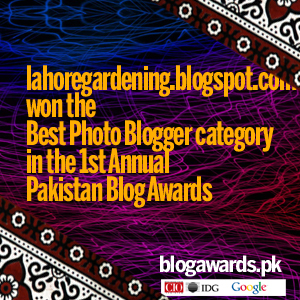 I look forward to learning more about gardening in Pakistan..
You have a great collection of colors, and you take marvelous photos too. Yes dahlias, i wonder why i dont grow them. BTW, do you have wide angle photos of your garden, i am sure it is lovely, and i want to see them. Thanks also for visiting my site. You should have viewed the older posts as they are better than this newest post. Gorgeous blossoms, and you take amazing photographs. The third photo down especially grabbed my attention, with the bee’s pollen sacs on her knees full of pollen. She looks loaded down and ready to return to the hive, but just couldn’t resist one last drink of nectar. Lovely! What a lovely selection of dahlia pictures. Like you, I think that I prefer the single flowered variety as being slightly more understated. Thank you for picking my latest posting, without which I would not have found you. Your pictures are inspiring. I also think the lily bulb in warm climate information is valuable. We grow lilies in sunny and warm Florida too and enjoy the flowers in a variety of colors and scents. Lovely dahlias! I need to get some for my garden, if I could just find space for them. Thanks for visiting my blog recently. 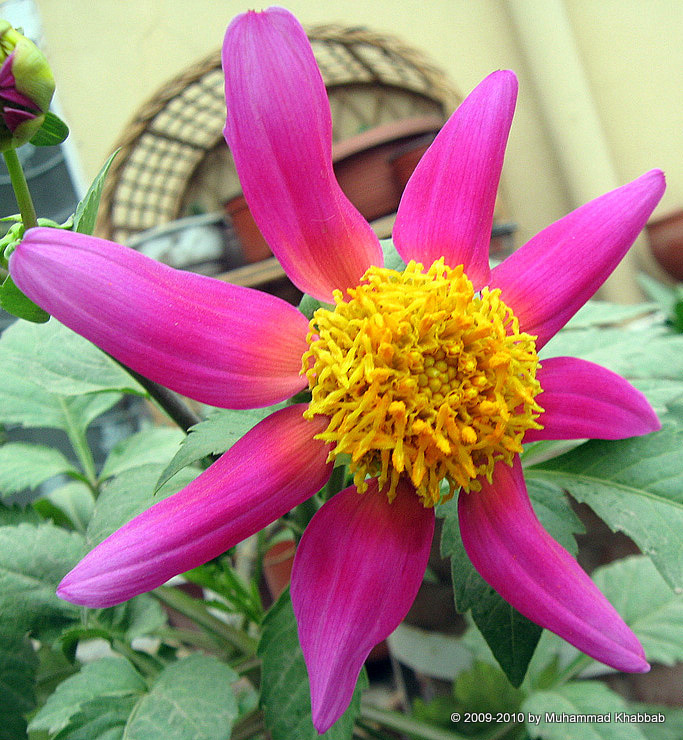 Do Dahlias grow in tropical countries? I like the concept of multiple varieties in one plant. I love love love Dahlias! These are great colors. Congrats on your nomination…your blog IS fabulous. I love the beautiful colours of the dahlias! 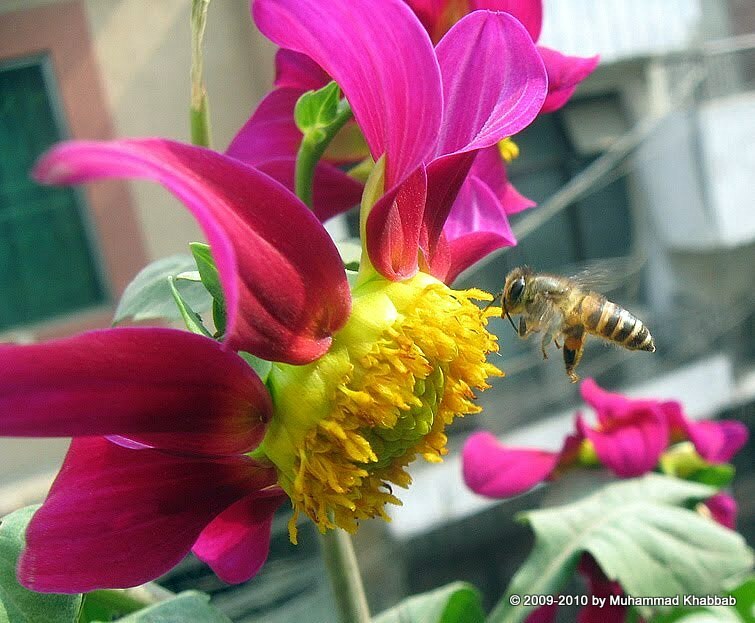 How the bees are loving the flowers too:) Congrates on your nomination. 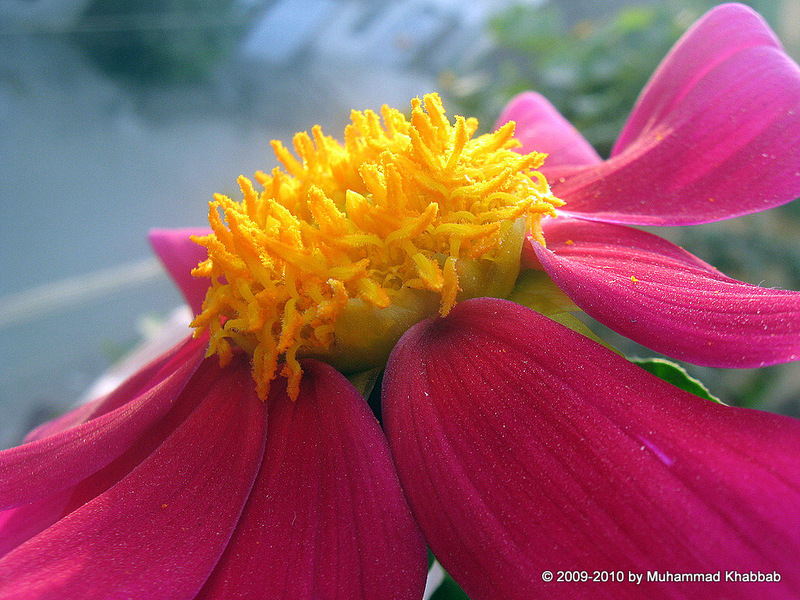 Your dahlia photos are a delight to my winter weary eyes! I especially love the petal form and color of the lavender flower, and seeing the bees busily working those blooms. Dahlias are one of my favorites with their many forms and gorgeous colors. I’m looking forward to the time when I can start my tubers in pots again. It’s still a couple of months away here. I love the single Dahlias they have such a “flattering attitude”! Your beautiful photos do them proud. I have not planted them for a while because of powdery mildew, but after seeing your lovely photos I think I will try again. 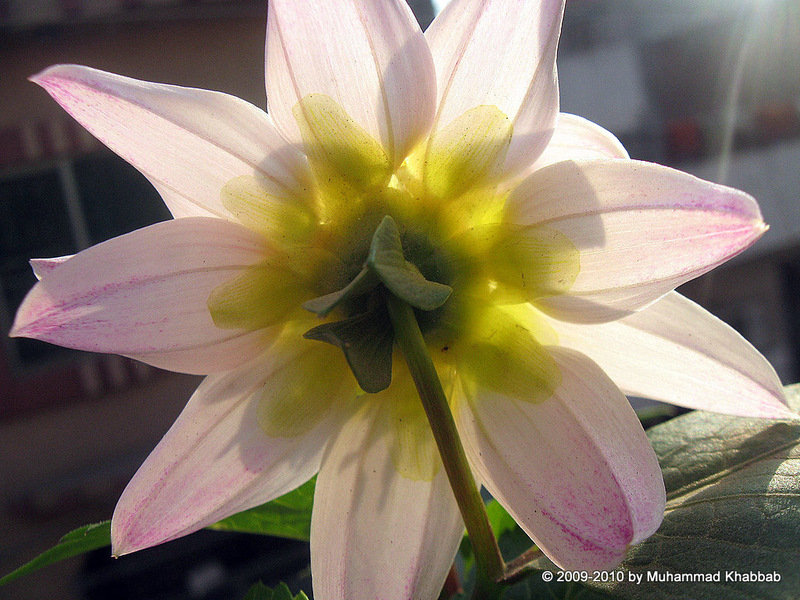 Hi Muhammad – the dahlias are stunning. I especially love the deep pink one with the yellow centre. And thanks for visiting my little blog. MK…hi! You’re right about the buzzers. I see the same bees here . It’s just that it flew away the moment I was about to click! :( But your blooms are gorgeous! I loved going through your amazing photos!What a collection! I’ll be growing a lot of them next year. Yes, your photos tell me that I must! What beautiful dahlias! I’m liking dahlias more and more. I grew some from seeds one year and it took an awful long time for them to reach blooming stage, so now I buy them already grown and blooming, and save the tubers over the winter. good luck on the award. may I repost some of the photos with different bees on my bee blog and link back to yours? Your Dahlias are beautiful! Wonderful photography.